For Dietrich, real estate offers a way to connect with his community. As a seasoned finance manager and real estate investor, real estate is not only his living, but also his passion. His experience gives him a unique insight to the industry and helps him to meet the needs of his clients with pleasure and integrity. Dietrich moved to Santa Cruz in the early nineties to pursue an education at the University of California, Santa Cruz. He spent his extra-curricular hours in the pool as an athlete on the swimming and water polo teams, and graduated with a Master of Science in Applied Economics. From there he developed a career in finance, specializing in banking and high technology industries. His resume includes companies such as Barclays Global Investors, Hitachi, Applied Materials, Cisco Systems, Symantec and Seagate Technology. 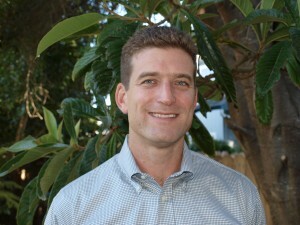 Dietrich began building his real estate business after making his first home purchase in Santa Cruz. He was inspired by the area’s potential income properties and healthy rental market. From there he expanded his real estate portfolio and property management business, and earned his California Broker’s License. His eye for value, market knowledge, dedication and approachable nature have all been great contributions to his success. Dietrich is an active member of the Santa Cruz Association of Realtors and serves as Chair of the Local Government Relations Committee. He also serves on the Finance Committee for the MLS Listings and is Director and Chair of the Membership Committee of the Northern California Chapter of Certified Commercial Investment Managers.